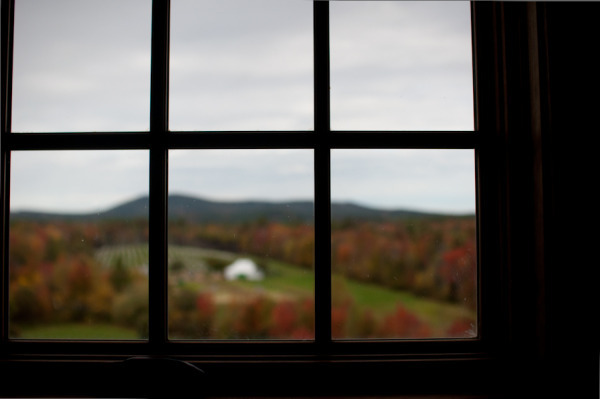 welcome to one of maine's top ten tourist destinations: cellardoor winery in lincolnville, maine. 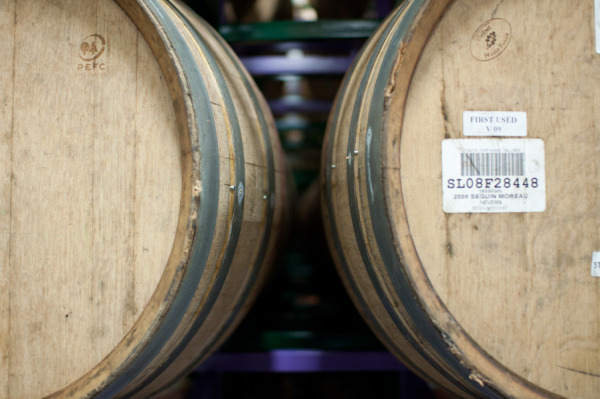 the largest winery in maine, cellardoor embodies that current trend: rustic glam. 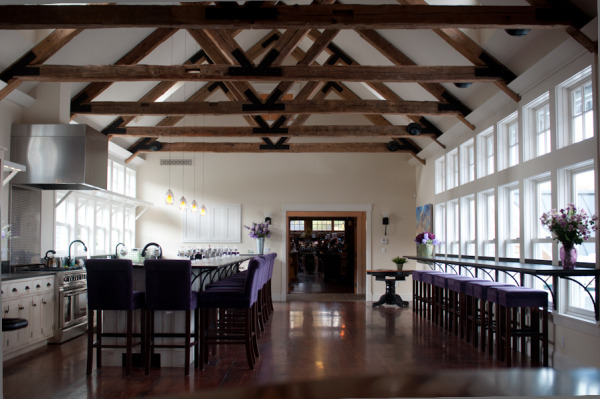 from the exposed beams in the farmhouse, to the shiny tanks of the winery, cellardoor is a comfortable yet sophisticated place where you can relax, smooze and drink awesome wine. while the cellardoor winery isn't yet available for weddings, there are many things to do here related to weddings: rehearsal dinners, cocktail receptions, cooking classes, private wine tastings, winery tours, bridal showers, the list goes on. so on a chilly but beautiful fall day, the venue's events coordinator, devon, welcomed me for a private tour of the winery. we started our tour in the vineyard where staff and volunteers were sorting the newly harvested grapes. bettina doulton, the owner, bought the land in 2007 and has been growing grapes since 2008. for now, until the grape production increases, cellardoor purchases grapes from california and washington state. i'm super excited about the small batch of sparkling rose that will be ready next year, grown from cellardoor's own maine grapes! there are three parts to cellardoor in lincolnville (they have a tasting room in rockport, too): the vineyard, the farmhouse and the winery. the farmhouse holds the tasting room, the open concept kitchen, and the dining area with accompanying deck overlooking the vineyard. it's a restored 200 year old structure and it's stunning. the winery's logo comes from a carving on the old cellar door of the original farmhouse. i can't wait to attend a party in the farmhouse; i can just picture it: glass in hand, music in the background, laughter, and tinkling of glasses. it would be a soiree for sure! up on the hill above the farmhouse stands the winery where they craft the wine in small batches. it is immaculate and clearly cared for. you get the feeling that the 25 people who work at the winery really care about it. i was greated with big smiles and genuine warmth. unique and delicious. my favorite was the monti al mare, which is a bold red. 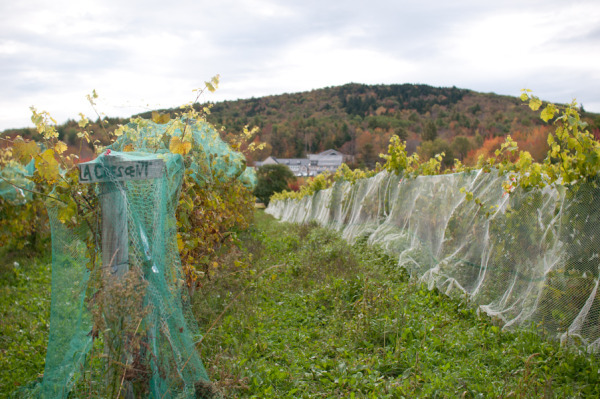 because maine hasn't yet been given a regional wine grape-growing designation, the winery can't use the word "maine" on their label. so in a clever nod to the midcoast maine area where the mountains meet the sea, they named this red using the italian for just that! 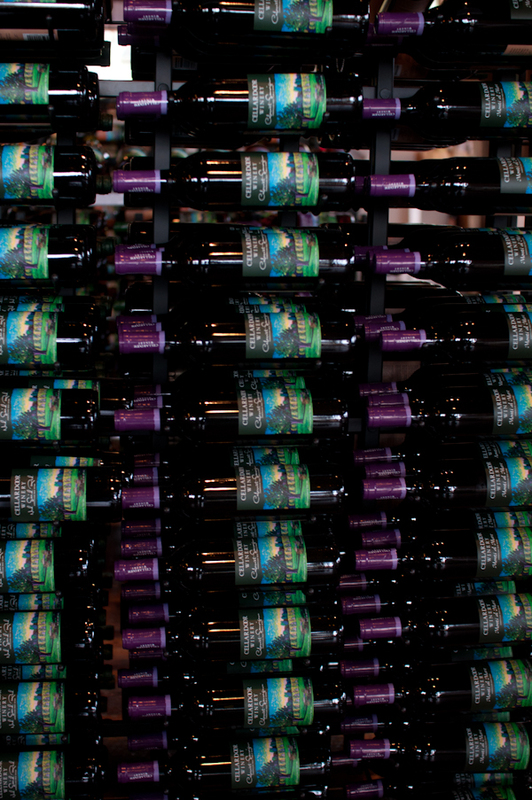 for more information about cellardoor winery contact the events coordinator (207) 763-4478 and please tell her you read about the winery on my blog. thanks!